Dr. Weissman comes to Interactive Wellness with 23 years of experience practicing Internal Medicine in our community, first as a Clinician/Educator at the Stanford Medical Group, and then for the last 11 years as a full time clinician at the Menlo Medical Clinic, where he also spent several years leading the Internal Medicine Department. He has been Board Certified by the American Board of Internal Medicine since 1990. 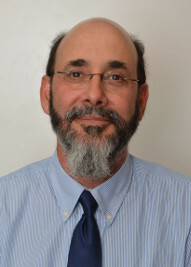 Originally from the East Coast, Dr. Weissman earned a BS in Chemistry at Emory University and an MD from the University of Miami School of Medicine. He then completed his training with an Internal Medicine residency followed by a year as Chief Medical Resident at the University of Arizona, before arriving at Stanford. Dr. Weissman has managed a large, busy practice for many years and has long established relationships with subspecialists in virtually all medical disciplines both at Stanford and in the community. He is experienced in managing complex patients and partners with his patients in decision making, tailoring the most recent medical knowledge to fit each patientʼs individual needs. When heʼs not practicing medicine, Dr. Weissman enjoys travel, music, reading, hiking, and household projects. For all medical needs please call 650-325-9906. After business hours you will be directed to the answering service who will contact the doctor for you. For the business office please call 650-325-8590.